A big conference started today in Ferrara, Italy, which my duties here at the University of Sussex unfortunately did not allow me to attend. 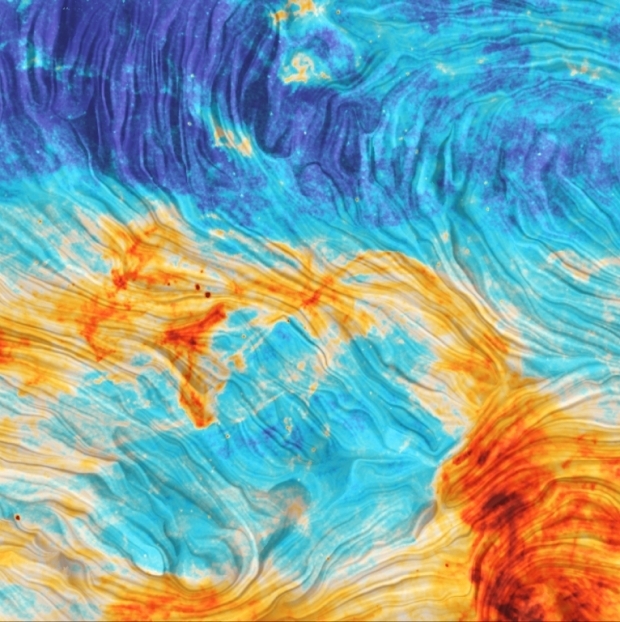 The purpose of the meeting was to announce the latest science results and data products from the Planck mission. There was quite a lot of excitement in advance of today’s session as there was supposed to be a press conference at which some exciting results would be announced. Although I’m in Sussex rather than Italy, I have been doing my best to keep up with some of the goings-on via Twitter. – The data products and scientific results will be presented at a public conference in Ferrara. – It is planned to release full mission data products and scientific papers to the public before the end of 2014. A few of the derived products will need a little more time to be readied for release, but will be made public within the month of January 2015. So the results were to be “presented”, but not “released”. Hmm.. The press conference scheduled for this morning didn’t actually happen either, so we had to wait for the science sessions for juicy information. Not being there in person I had to pick up what I could from Twitter, which included only a few images with accompanying text (only in French). Lovely results of course – look how accurately the data fit the theoretical model curves – but notice that both the TE and EE spectra are cut off at low l. That’s because the polarization signal on large angular scales is so heavily affected by systematics that measurements for l<30 are unreliable. It’s not clear when, if ever, those systematic issues will be resolved. There’s no measurement of the primordial B-mode spectrum to compare with BICEP2, either, although there is a strong detection of a B-mode lensing signal obtained by cross-correlating Planck data with galaxy maps. Still, at least I’m no longer sad I couldn’t make the conference! 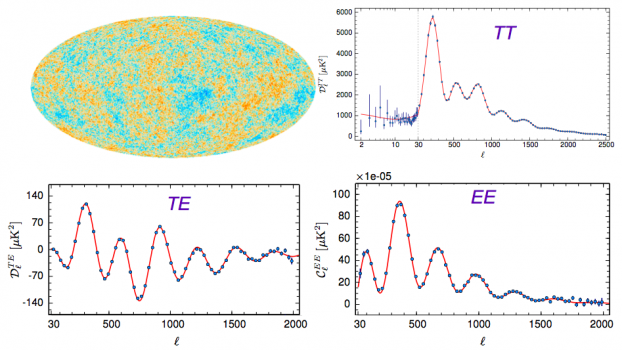 This entry was posted on December 1, 2014 at 6:26 pm and is filed under The Universe and Stuff with tags Cosmic Microwave Background, Ferrara, Italy, Planck, Poalrization, Temperature. You can follow any responses to this entry through the RSS 2.0 feed. You can leave a response, or trackback from your own site. Wow, that polarized emission image looks strikingly familiar ( the works of a certain post-Impressionist painter of Dutch origin, anyone?!) Beautiful! I hope the eventual science results prove to be the same. Yes, I also think that it looks like a Mondrian. The press conference did happen. The above pingback is spam.